The leg 2 of the Volvo Ocean Race was a hard-fought one and at the end of the leg, it was the MAPFRE team that took the honor of the leg 2. The Volvo Ocean Race is a 7,000 nautical mile race that kick-started from Lisbon in Portugal and will be finishing in Cape Town in South Africa. The skipper of the MAPFRE Spanish team is over the moon after winning the epic Leg 2 of the race. Xabi Fernandez said that he and his team are super happy and excited to have completed the race as one piece. The fact that they were able to get the better of others in the race has given them a lot of confidence to achieve bigger things in the days to come. Xabi said that he and the team could not ask for anything more than what they have achieved. Xabi said that he expects the race to be super tight and like the Leg 2 race for the remaining part of the Volvo Ocean Race. If anyone makes a small mistake, then they might have to suffer big at the end. All the racing teams are moving at a quick speed. He said that he and his team were lucky to make only very minor mistakes during the leg 2 and hence were able to win the leg. 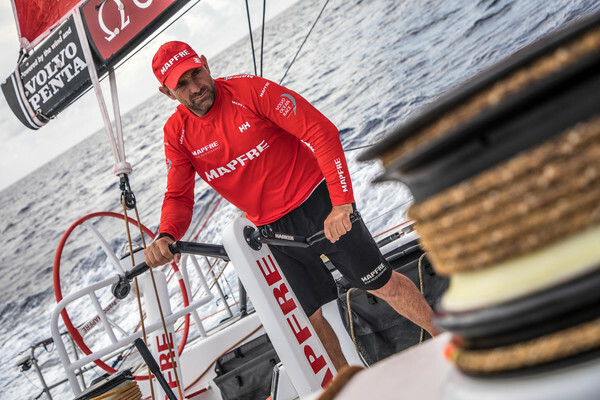 The first half of the league, the MAPFRE team trail the Dongfeng Race Team. It was only after 14 days into the leg 2 that Xabi and Navigator Juan Vila pressed the accelerator and made a quick gibe that Dongfeng was not able to cover. The tactical move made by MAPFRE team caught the Dongfeng team by surprise and they could not get the better of the MAPFRE team from thereon.